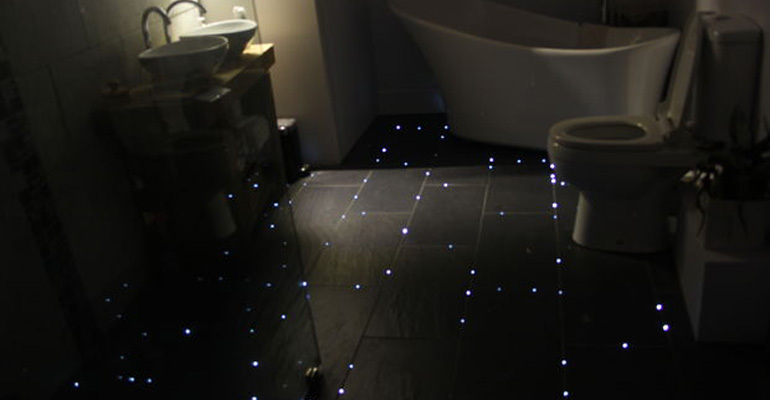 There are tons of nail art styles but one that is worth the effort has to be bow nail art designs. Bow nails are versatile and they easily go from cute to classy depending on the style you’re looking for. These beautiful 17 bow nail art designs all look great and the hardest part is choosing just one! 1) Pretty French manicure with Zirconia studded black ties. 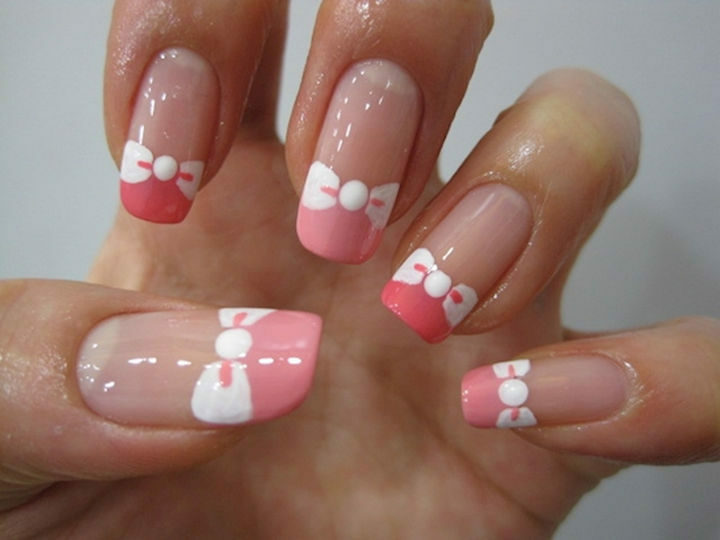 2) Clean and stylish pink nails with bow accents. 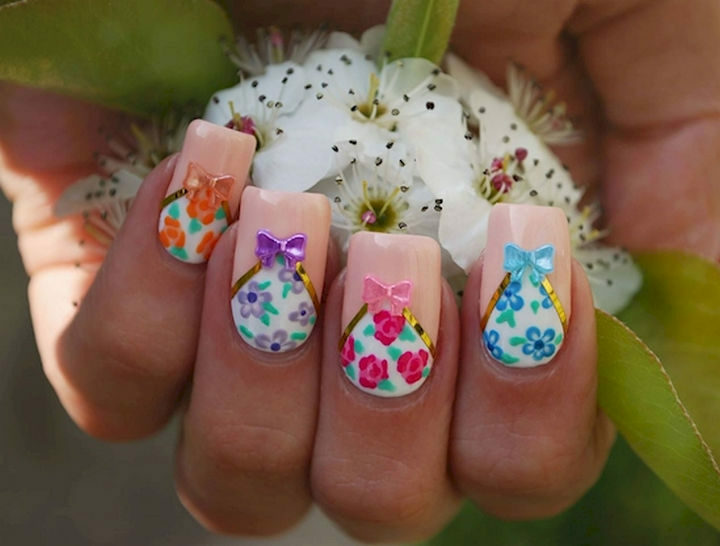 3) These floral nails are pretty but adding a bow finishes it off nicely. 4) Gorgeous fishnet with bows accent nails. 5) Gorgeous bow nails stretch across multiple nails. 6) This mauve design is perfect for fall. 7) Hot pink accents make this white manicure sizzle! 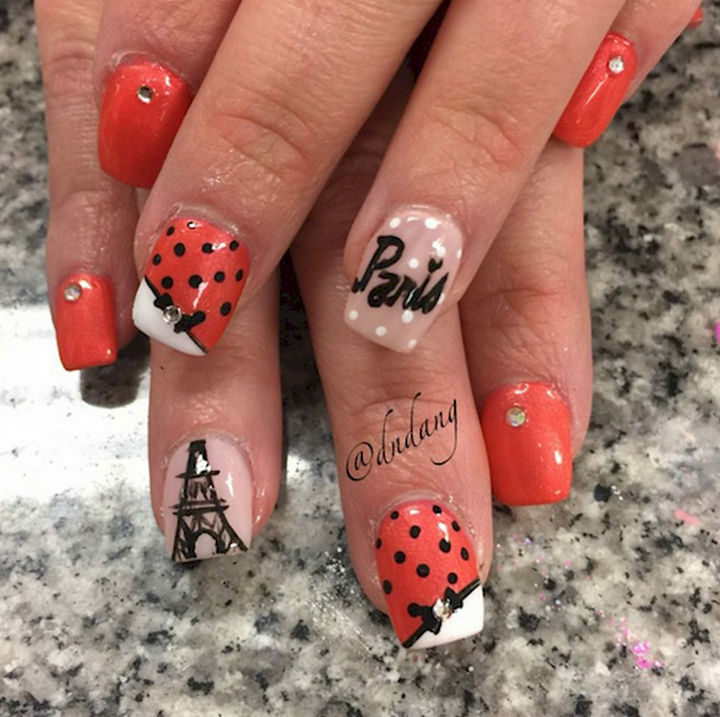 8) Bring the beauty of Paris to your nails. 9) Beautiful nail bow French tips. 10) Get bow nail art with decal sticker art. You can find nail decals in many stores or purchase these from eBay. 11) Easy bow French manicure with nail vinyl. Purchase these bow nail vinyl decals from MakeitStickDesigns on Etsy. 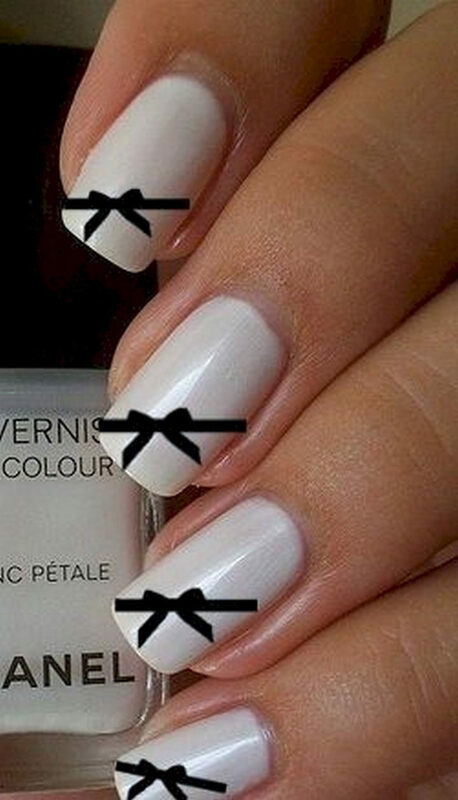 12) This bow nail art design is beyond spectacular. 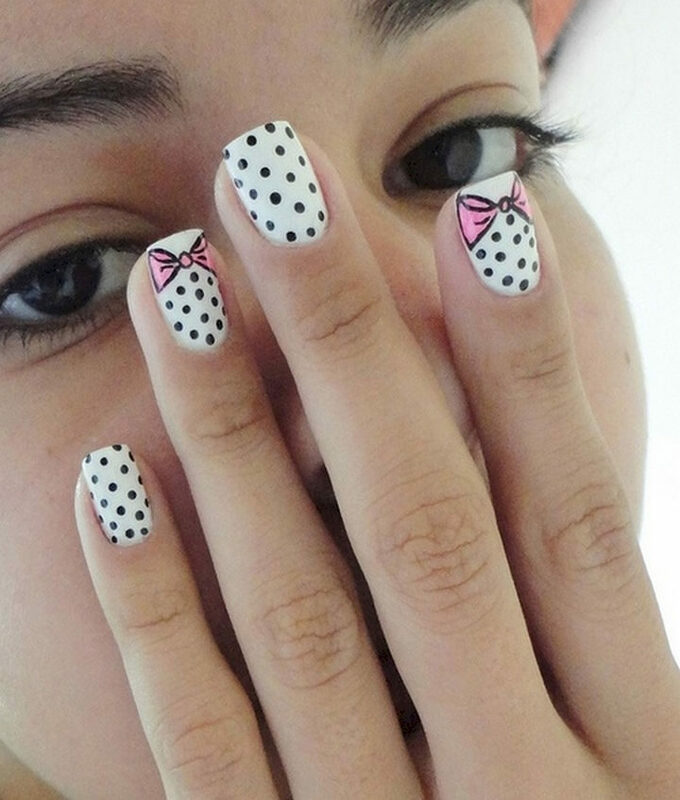 13) This bow tie nail art screams fun! 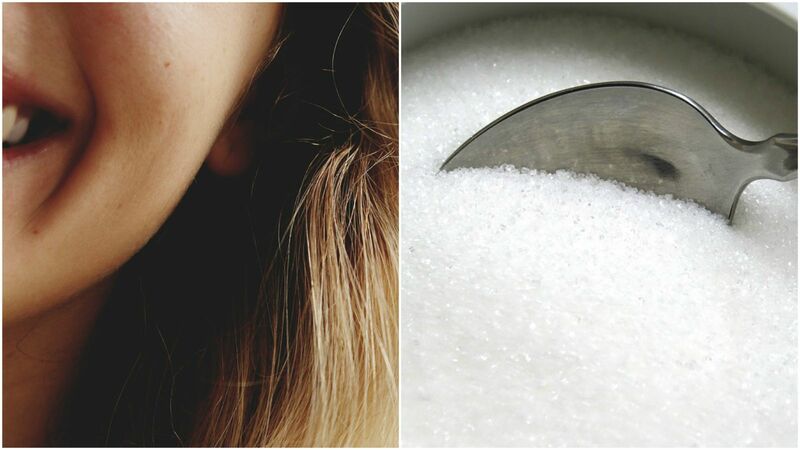 Learn how to create this easy DIY bow nail design. 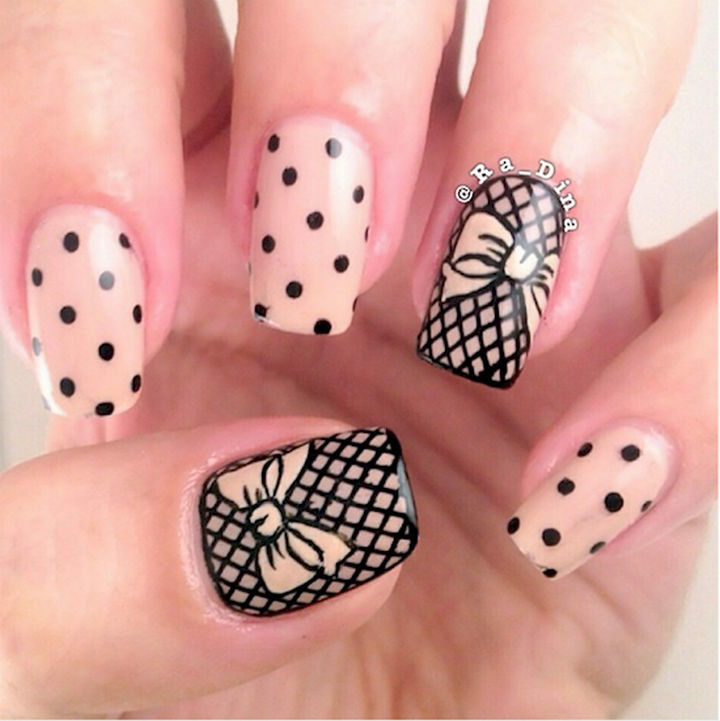 14) This bow nail art design uses real thread to create a bow and the effect is jaw-dropping. 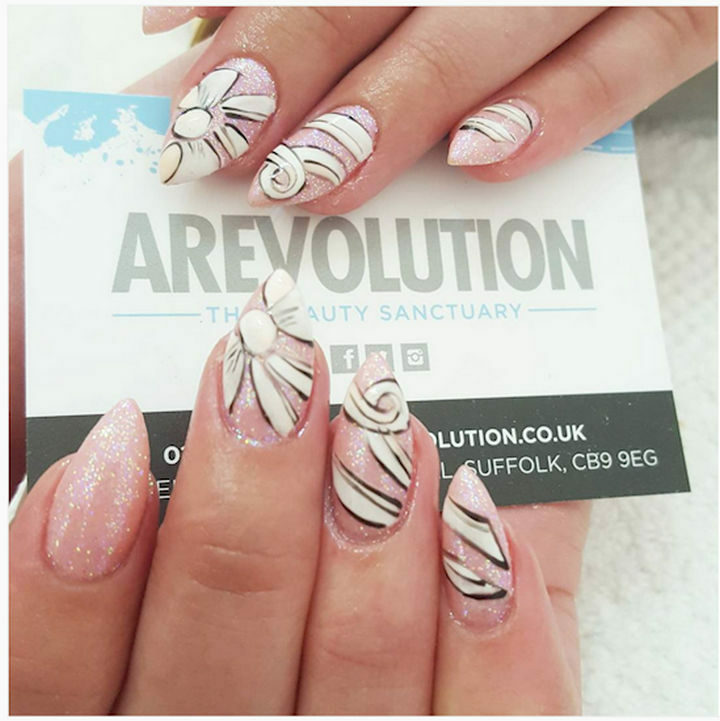 Learn how to create this real bow nail design. 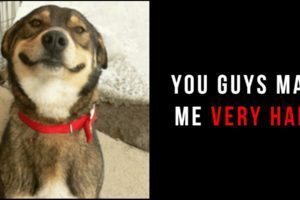 15) Cute polka dots with pink bows. 16) Create a pretty mint mani and tie it up with a bow. Follow this bow mani tutorial from the Beauty Department. 17) Yellow looks great with this polka dot bow nail design. Watch this yellow bow nail design video tutorial. Bow nail art looks great any time of year and these bow nails are gorgeous! Please share these adorable bow nail designs with your friends and family. 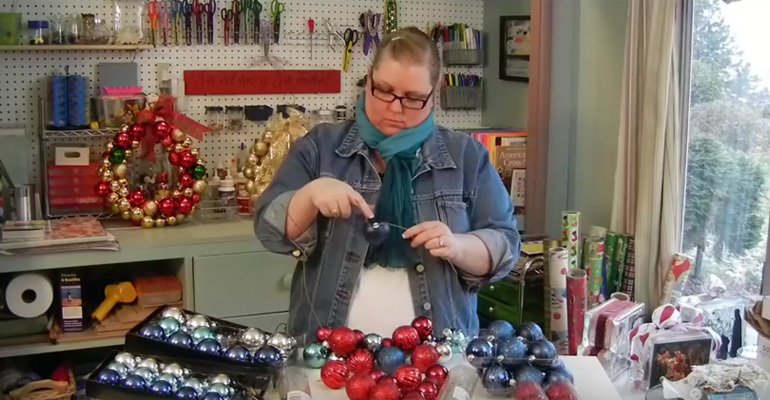 She Begins Putting Christmas Ornaments on a Wire Hanger. Her Project Looks so Great You’ll Want to Make One Too!